CODE’s print and online publications have covered all of CODE’s areas of work: U.S. Federal Roundtables, International Roundtables, Research, and Resources. This section presents CODE’s publications on these topics in reverse chronological order, with the most recent ones listed first. It includes CODE’s official publications, CODE’s articles and blog posts related to our projects, and press coverage of our work. Lyme Innovation Roundtable. In December 2018 CODE co-hosted the first-ever Lyme Innovation Roundtable, together with the Office of the Chief Technology Officer of the U.S. Department of Health and Human Services and other partners. This unique event brought together scientists, clinicians, patient advocates, and other diverse participants with an interest in Lyme Disease and tick-borne conditions. Roundtable on Data Sharing Policies, Data-Driven Solutions, and the Opioid Crisis. 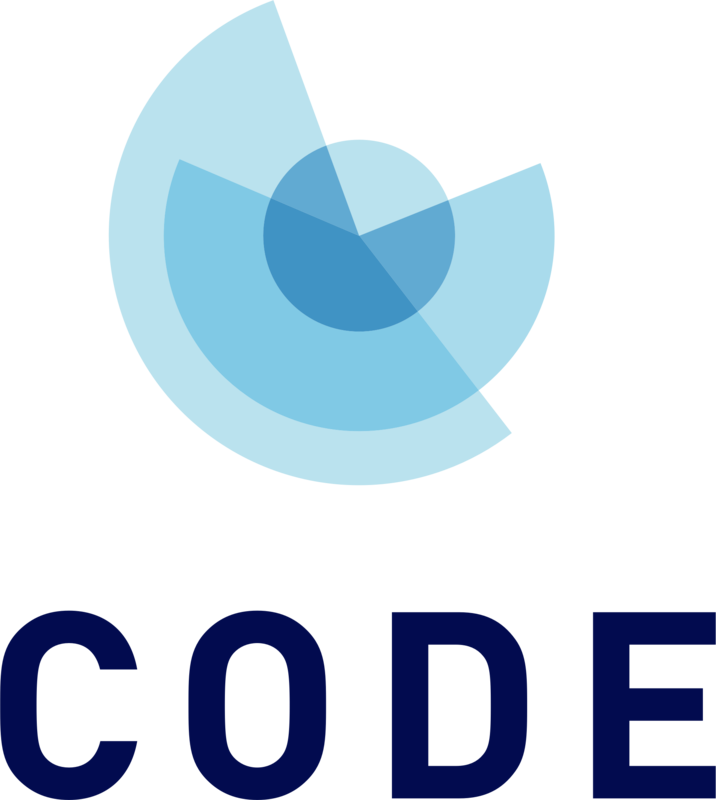 In July 2018, CODE co-hosted a Roundtable on data for the opioid crisis with the Office of the Chief Technology Officer of the U.S. Department of Health and Human Services. CODE’s report on the Roundtable was published in September 2018. Roundtable on Innovating with Federal Spending Data. In February 2018, CODE co-hosted a Roundtable with the U.S. Department of the Treasury on ways to use the federal spending data now made available under the DATA Act. CODE’s report on the Roundtable was published later that month. Roundtable on Data for Automated Vehicle Safety. In December 2017, the U.S. Department of Transportation (USDOT) hosted the Roundtable on Data for Automated Vehicle Safety, in collaboration with CODE and Booz Allen Hamilton. CODE drafted a summary report that was published by the USDOT in January 2018. Roundtable on Open Data for Economic Growth. In July 2017, CODE co-hosted a Roundtable on Open Data for Economic Growth with the White House Office of Management and Budget, including Administration officials and business leaders. CODE published a summary report of key takeaways in August 2017. 2016 U.S. Open Data Roundtables: Recommendations from Data Providers and Users. The White House Office of Science and Technology Policy partnered with CODE in 2016 to develop the U.S. Interagency Open Data Roundtable series as a rapid, inclusive way to address and help solve the challenges that are keeping open data from reaching its full potential. Over four months, the Roundtables addressed four open data challenges organized around the following topics: data privacy, data quality, sharing research data, and public-private collaboration. 2016 Open Data Roundtable: Applying Research Data. The third of four Interagency Open Data Roundtables co-hosted with the White House Office of Science and Technology Policy. Key question: How can we best share and apply government-funded research data? 2016 Open Data Roundtable: Public-Private Collaboration. The fourth and final Interagency Open Data Roundtable co-hosted with the White House Office of Science and Technology Policy. Key question: How can we collaborate to support open data? 2016 Open Data Roundtable: Improving Data Quality. The second of four Interagency Open Data Roundtables co-hosted with the White House Office of Science and Technology Policy. Key question: What are the most efficient and scalable ways to improve data quality? 2016 Open Data Roundtable: Protecting Privacy. The first of four Interagency Open Data Roundtables co-hosted with the White House Office of Science and Technology Policy. Key question: How can we open granular information while protecting privacy? Open Data for the Labor Market: An Open Data Roundtable with the U.S. Department of Labor. In November 2015, CODE co-hosted this Roundtable with the U.S. Department of Labor to foster a dialogue around the access and use of the Occupational Information Network (O*NET) system. CODE’s report was published in March 2016. Tracking Federal Spending: An Open Data Roundtable with the U.S. Department of the Treasury. On November 2015, CODE and the U.S. Department of the Treasury held a Roundtable on the new ways to use data on federal spending made available under the DATA Act. CODE’s report was published in June 2016. Using Data to Help Veterans and Their Families: A Roundtable with the U.S. Department of Veterans Affairs. In May 2015, CODE co-hosted a Roundtable with the U.S. Department of Veterans Affairs to help maximize the value of VA’s data and further the agency’s mission to support Veterans and their advocates. CODE’s report on the Roundtable was published in October 2015. Data for our Energy Future: A Roundtable with the U.S. Department of Energy. In April 2015, CODE and the U.S. Department of Energy co-hosted a Roundtable with energy entrepreneurs and industry leaders who use Department of Energy open data. CODE’s report was published in November 2015. Improving Safety Data: A Roundtable with the U.S. Department of Transportation. In March 2015, CODE and the U.S. Department of Transportation co-hosted a Roundtable on ways to use open data to improve roadway safety. CODE’s report was published in October 2015. The Open Data Roundtables were originally launched as an initiative of the GovLab at NYU before being run by CODE. The following three Roundtables were held by CODE’s founding team, working at the GovLab, before CODE was launched in January 2015. Open Data Roundtable with the U.S. Patent and Trademark Office. This Roundtable was held In December 2014 to provide feedback on ways to improve the patent data system following up on the recommendations from the earlier Department of Commerce Roundtable. The report on the Roundtable was published in April 2015. Using Open Data to Protect the Food Supply: A Roundtable with the U.S. Department of Agriculture. This Roundtable, held in August 2014, focused on food resilience in conjunction with the White House Climate Data Initiative. The report on the Roundtable was published in January 2015. Realizing the Potential of Open Government Data: A Roundtable with the U.S. Department of Commerce. This first-ever Open Data Roundtable with “America’s data agency,” held in June 2014, focused on the potential of open data from the Census Bureau, National Atmospheric and Oceanic Administration, the Patent and Trademark Office, and Bureau of Economic Analysis. The report on the Roundtable was published in October 2014. Open Data for Business (OD4B) Tool. The Open Data for Business (OD4B) assessment tool, developed by CODE and the World Bank, was the first effort to assess and enable the private sector’s use of government data from the demand-side perspective. The assessment tool combines roundtable and interview methodology. Learnings from Application of the OD4B Tool. The OD4B has been used in countries in Africa, Asia, Europe, and Latin America and the Caribbean to help prioritize government data for private sector use. These reports and blog posts summarize findings from several of them. Open Data to Combat Climate Change. CODE is collaborating with the World Resources Institute and the Open Data Charter to publish a guide to using open data for climate change mitigation and resilience. This guide will draw on research and workshops held by CODE since 2015. Open Data and the Private Sector. CODE has done extensive research on the use of open data by the private sector, and has included private sector representatives in its Open Data Roundtables. These reports summarize some of their findings. 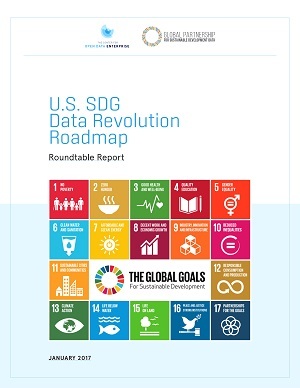 U.S. SDG Data Revolution Roadmap. In January 2017, CODE published recommendations for the U.S. government’s role in promoting and achieving the U.N. Sustainable Development Goals. This Roadmap was based on a December 2016 Roundtable held with the Global Partnership on Sustainable Development Data and accompanying research. Protecting privacy while releasing data. CODE has done research on strategies to balance the value of releasing highly detailed data with the need to protect privacy in granular data. This chapter summarizes those findings and recommendations. 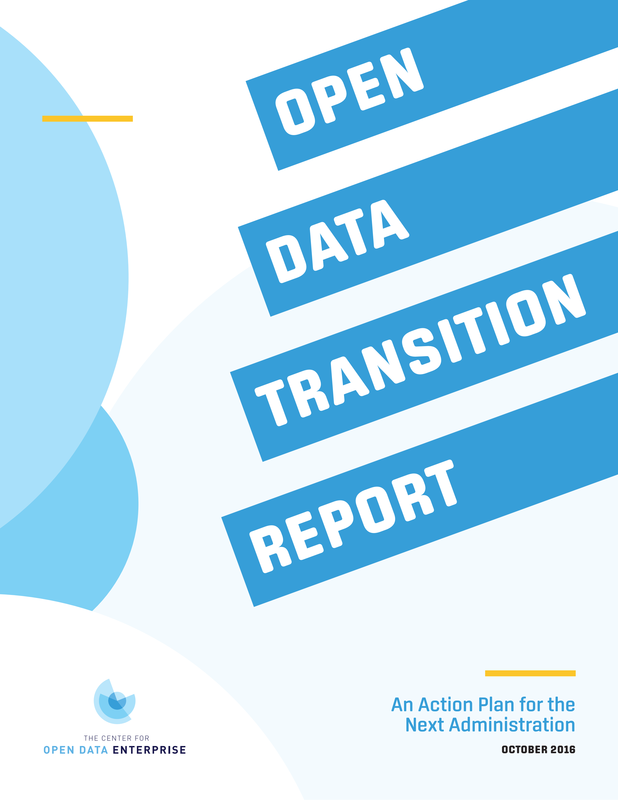 Open Data Transition Report: An Action Plan for the New Administration. This report, supported by a grant from the Laura and John Arnold Foundation, presented 27 recommendations for developing U.S. data policies and programs. Published in October 2016, the report was based on extensive interviews, research, and an expert working group and advisory board. 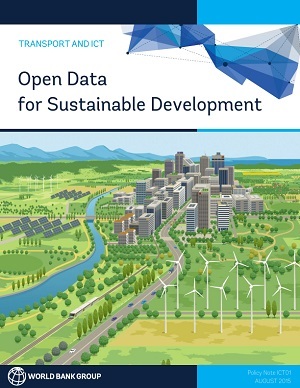 Open Data for Sustainable Development. CODE authors developed this policy note for the World Bank in August 2015, in conjunction with the development of the UN Sustainable Development Goals. 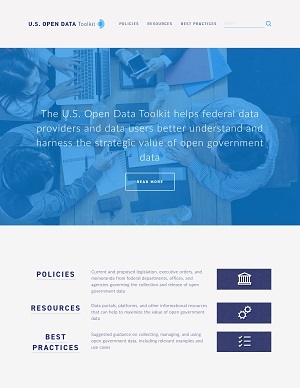 U.S. Open Data Toolkit. The Toolkit is designed to help federal data providers and data users better understand and harness the strategic value of open government data. Among other sources, the Toolkit draws on insights gathered during CODE’s Roundtables, which have convened hundreds of experts from federal agencies, academia, nonprofit organizations, and the private sector. 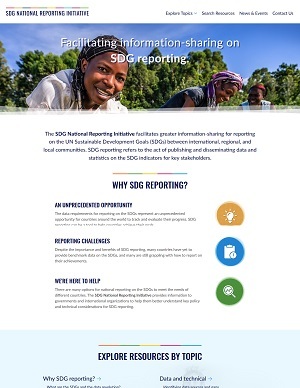 SDG National Reporting Initiative. The Initiative was launched to facilitate greater information-sharing for reporting on the UN Sustainable Development Goals (SDGs) between international, regional, and local communities. SDG reporting involves publishing and disseminating data and statistics on the SDG indicators for key stakeholders. It is an essential tool for helping to achieve the SDGs and to monitor progress. Open Data Impact Map. 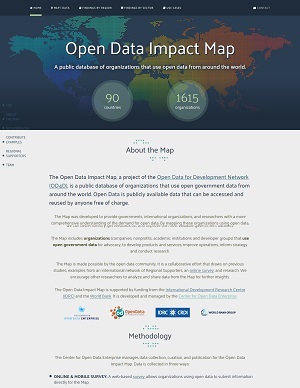 A project of the Open Data for Development Network (OD4D) that is developed and managed by CODE, the Map is a public database of organizations that use open government data from around the world. It showcases open data use cases across 7 geographical regions and 13 sectors. The Impact Map was developed to provide governments, international organizations, and researchers with a more comprehensive understanding of the demand for open data.